This is an exciting week for the Meraki community. 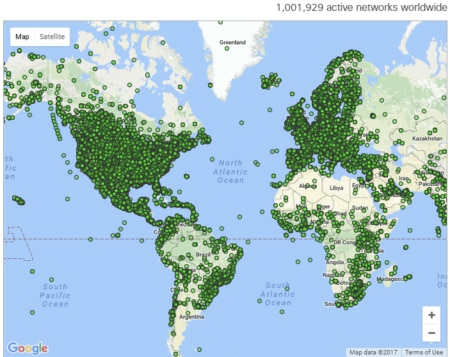 Just about 10 years after our first product shipped from a basement in Mountain View, the millionth active Meraki network went online on Tuesday night. 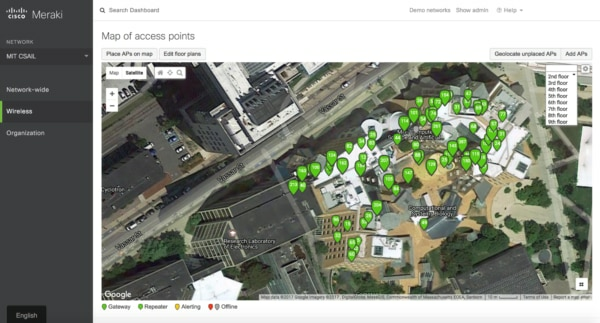 I believe the real story behind hundreds of thousands of businesses, schools and governments moving to the Meraki architecture is about the evolving nature of IT. IT groups are being asked to do more: to support corporate devices and any other device a user prefers. To transition to a wireless office and support remote working. To enable massive device expansion and constant digital collaboration. To provide zero downtime and constant change. Most importantly, IT is being asked to focus on Mission Focused Technology: technology which drives education in schools, patient care in healthcare, and guest satisfaction in hotels. In order for IT to deliver on these many asks, infrastructure has to be simple. Simple enough to allow IT to be nimble and adapt with the business. Simple enough to allow IT to focus on their true mission. A decade ago we began shipping simpler IT, managed via the cloud, and we were humbled by the amazing response. Overloaded and thinly stretched IT teams worldwide were creaking under the load of legacy systems with clunky interfaces, and crying out for simplification. Cloud was just emerging as an option for enterprise (AWS launched the same year as Meraki). Today, cloud services are integral to our daily lives, whether it’s the apps on our smartphones or the online bank that pays our bills. It’s easy to forget this has been a journey of evolving acceptance as confidence grew in the dependability and security of the cloud. It’s been an amazing journey. Our 2006 device, the Meraki Mini will always hold a special place in our hearts. Even if it doesn’t look or demo quite like our newest product (Meraki MV). Our nostalgia for the original Meraki dashboard is probably more muted (actually it was originally called Meraki Manage). The many Meraki logos, mascots and T-shirts are still coveted “vintage gear” around the office, and as someone who spends every day of my life wearing a Meraki holiday gift jacket, I appreciate that. Vintage Meraki shirts, including the very first MX shirt. Thanks to every user who made a wish on Dashboard, who convinced their boss to give the cloud a chance, who deployed a webinar AP in their home and refused to go back to CLI at work… This milestone belongs to you more than anyone. Thanks to all the partners who’ve demoed the Meraki dashboard, who’ve built practices around the Meraki platform, who’ve developed on the Meraki API. Thanks to the Meraki and Cisco teams, the founders who set us on the path, every coder who checked in code on Sunday morning, every sales rep who refused to be satisfied with 99%, everyone who installed test gear or replicated an issue, every support engineer who filed a late night mule, everyone who got one more order shipped before “cutoff”, who ran a webinar, managed an event, kicked off a promotion or flew around the world to teach CMNA. Thanks also to all the families and friends who have made sacrifices to support our teams around the world and help make this cloud managed dream a reality. Now for the next chapter… We have yet to see the best from this team.